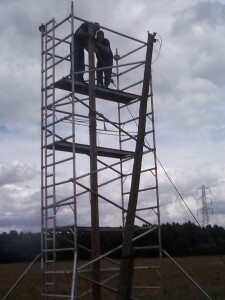 Electric City has an excellent reputation for service and reliability in electrical installation work. 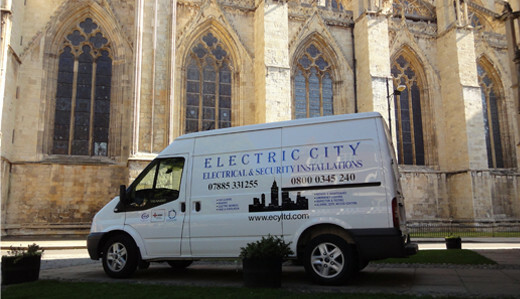 Electric City York Ltd is a professional electrical contractor established in 1995 by John Lane. We are a leading York electrician that supports both domestic and commercial customers in a range of electrical services. 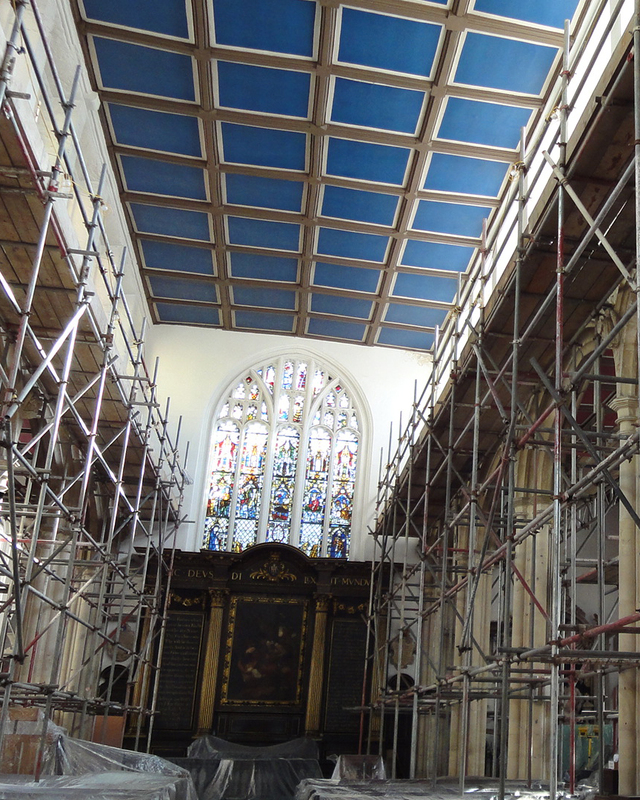 Although we are based in York we look after customers right across North Yorkshire and West Yorkshire. Electric City offers a wide range of services in household electrics. We are able to tackle most domestic electrical issues including rewiring, new builds and renovations, the installations of storage heaters, showers, cookers and ventilation units. We will also do simple small jobs such as adding more sockets and light switches. Whatever you need for your home please get in touch and we would be happy to discuss the best options for you. As electrical contractors we are regularly engaged in contract work for large commercial businesses and industrial companies. This can range from simple additional power points to complete rewiring or new installs. We undertake all electrical installations including data networking, 3 phase, repairs and upgrades. When you need peace of mind for compliance or an expert opinion we can carry out PAT testing and fixed wire testing, and provide electrical installation condition reports (EICRs). 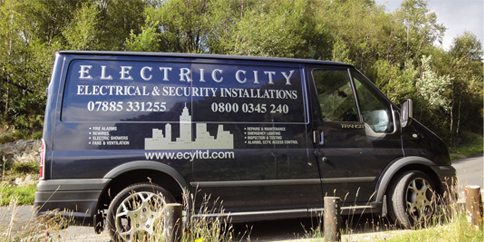 At Electric City we offer fire and security services for homeowners and small businesses. We provided, install and maintain a range of electrical security solutions including security lights, burglar alarms, door access and CCTV systems. To protect you and make sure you are compliant we also supply and fit fire alarms and emergency lighting. 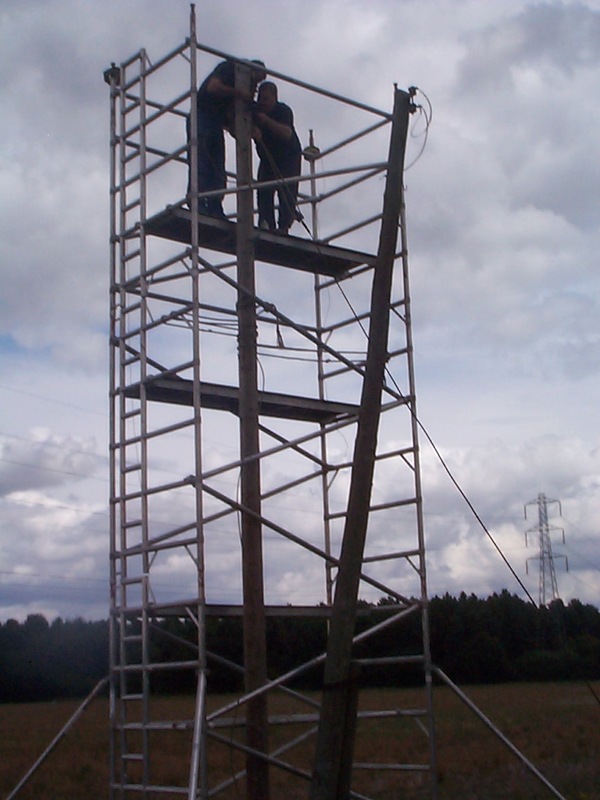 In addition to these services, we operate a full maintenance and fault finding service to keep you safe.